Seals do come to the shore to rest after heavy rough seas or to escape predators and therefore it is important not to intervene unless it is obvious that they have obvious severe injuries or clearly sick and emaciated. Seals are protected by law and you are not allowed to remove them from the beach unless they are obviously injured. Seals do secrete fluid from their tear ducts which look like tears running down their cheeks so this is not a sign that the seal is ill. Seals should not be chased back into the water if they are on the beach. Seals should be left on the beach and reported to the Nature Authorities who will monitor the situation and intervene if necessary and transfer it for rehabilitation. Just keep an eye on it for a couple 3 or 4 days and if it hasn’t moves then you are welcome to call us. 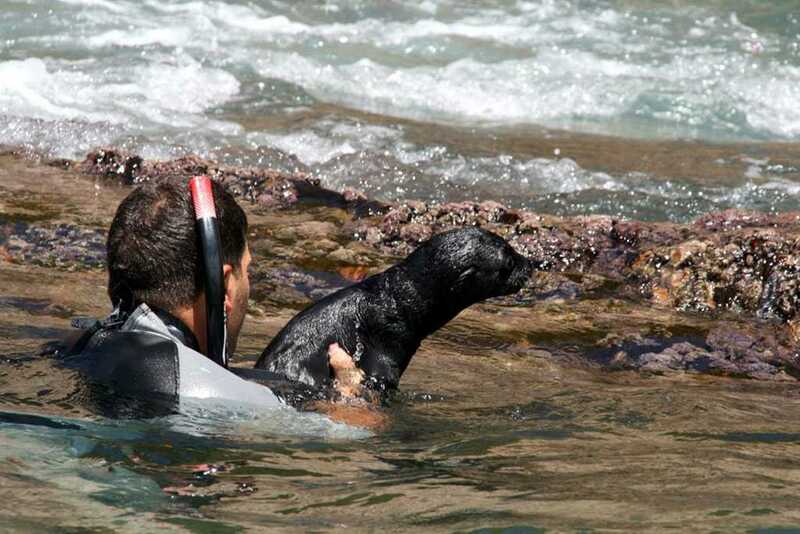 If you see people harassing the seal then please call us or Cape Nature.